Data volumes within modern organizations’ information ecosystems are rapidly expanding—placing significant performance demands on legacy architectures. Today, to fully harness their data to gain competitive advantage, businesses need modern scalable architectures and high levels of performance and reliability to provide timely analytical insights. In this report, learn more about relational analytical databases in the cloud since cloud deployments are at an all-time high and poised to expand dramatically. 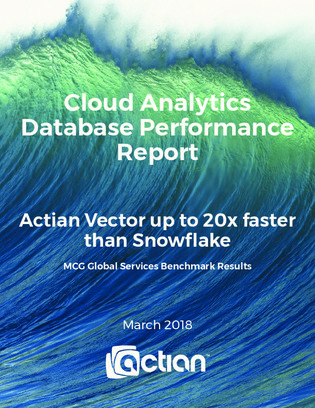 Compare 2 popular cloud-based analytical databases – Actian Vector and Snowflake – and examine the key performance differentiators between these cloud-enabled, enterprise-ready, analytical-workload tools.